From Variety, FOX News channel is far and away the #1 cable news network in 2013. Just how much have they distanced themselves from the competition? 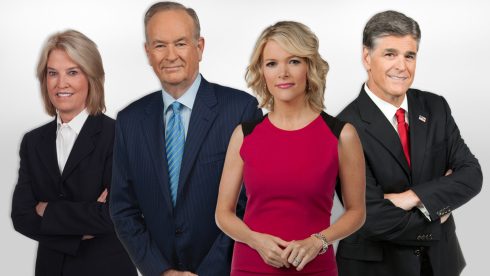 Fox News channeled had more views in prime-time than CNN, MSNBC and HLN combined. Fox News Channel maintained its grip on the cable-news network ratings prize in 2013, drawing more viewers than the combined averages of CNN, MSNBC and HLN. It was a down year in terms of overall audience, as every newsie but HLN showed primetime declines from their Presidential Election-driven tallies of 2012. According to Nielsen data through Dec. 8, Fox News Channel averaged 1.774 million viewers in primetime (down 13% from 2012) and 297,000 adults 25-54 (down 30%). It was followed by MSNBC with 645,000 viewers and 203,000 adults 25-54 (down 29% in both); CNN with 578,000 (down 15%) and 187,000 adults 25-54 (down 16%); and HLN with 403,000 total viewer (up 21%) and 142,000 in the demo (up 27%). 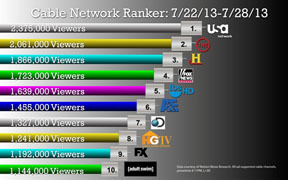 Among all basic cable networks in 2013, FNC ranked sixth in primetime while MSNBC was 29th and CNN was 31st. In total day, Fox ran fourth while CNN was 28th and MSNBC ran 30th; in 2012, CNN finished behind MSNBC. CNN and HLN showed some year-over-year gains on a total-day basis, while FNC and MSNBC were down. HA, Weasel Zippers adds, Media Matters unavailable for comment. But the LEFTIES live an an alternate universe and believe that they can still keep their healthcare insurance if they like it or any other Kool-Aid that Obama pours.